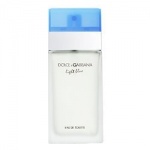 Dolce and Gabbana Light Blue perfume is a fruity-floral fragrance that opens with the beautiful, clean and mouth-watering burst of Granny Smith Apples, Sicilian Cedar and Bluebells. The heart of the Light Blue fragrance is composed of jasmine, white rose and bamboo, followed by a woody and sweet endnote of cedar wood, amber and musk. 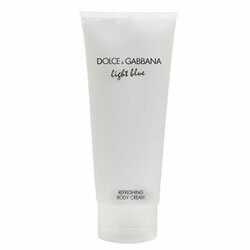 D&G Light Blue is a tribute to the scorching sun, sea and sensuality of the Mediterranean. Freshly seductive, with a heady, holiday exhilaration, this award-winning fragrance has become a cult contemporary classic.